If Animal Collective is to the Beatles in that they are a gateway band to modern psychedelia, then Panda is their Paul, and Buoys is his Wings. With the main instruments present being acoustic guitar, synth pads and samples, and song structures being relatively uniform, it’s difficult to understand certain writing decisions that were made. Just listening to this album proved to be challenging. One cannot hear it through standard headphones, since all of the bass lines are mixed into only lower frequency ranges. This leaves the bottom elements of the soundscape created totally empty, so the mid-to-high range just hover there. The samples and the broken-up vocal panning leaves listeners with segments of words and sentences that feel extraneous, drawing attention to subpar and repetitive lyrics. Samples on songs like “Dolphin,” stand out, capturing the essence of frustration from a leaky faucet in a quiet room, using too-pristine recordings of water droplets falling. Melodically, it’s the same Panda Bear that we’re used to, sounding almost too similar to vocal lines of previous releases. Repeating imagery of slipping and slapping in the lyrics throughout all 31 minutes, Panda’s vocals bare a crisp digital delay and auto tune. Instead of floating within the music – as his reverb-heavy signature – it seems to weigh down the track, far too loud. Even through proper subwoofers though, it’s easy to still feel like something was missing. The low-end pads fill out the space, adding context to ground the other instruments, but falls short of one’s expectations of an “experimental artist” to take things a step further. Panda’s signature dry acoustic guitars pan rhythmically and do tricks in the space created, flourishing a lack of creative riff-writing. 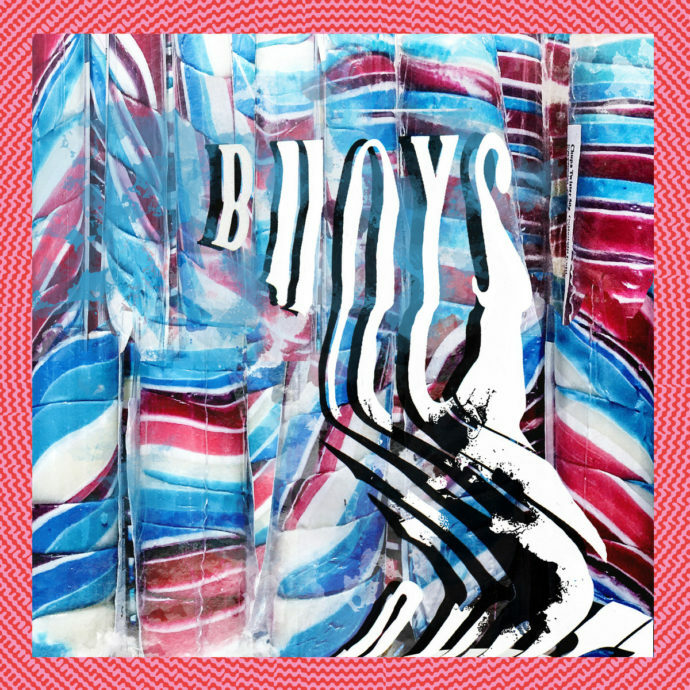 Compared to 2015’s Panda Bear Meets the Grim Reaper, Buoys is stripped down and less dense. Such a short album implies obsessive care over each song, and the album does sound refined, but in the way that white sugar is – tediously processed until we’re left with the product, without what made it good to begin with. Interesting moments occur, but the remainder of the album sounds hollow and ungrounded, rather than minimalism with impact. The song “Inner Monologue” is a dark song, includes samples of crying, laughing, gasps. Minor chords, rhythmically interesting in an otherwise uniform album. Suddenly the same tempo and time signature has changed, and so has the space we’re in, and Panda uses a rhythm similar to Animal Collective’s “Cobwebs,” to traverse. “Crescendo” is by far the most structurally complicated. Panda abandons the verse-chorus structure in favor of a Sung Tongs-esque riff and rhythmic use of samples. Water Curses is an interesting parallel to Buoys, considering how different an AnCo artist would write water-themed album now VS ten years ago. The genuinity that came across on most all their earlier works simply gets lost within production, drawing more attention to structural and lyrical things that may have otherwise worked.